I shared this with a friend of mine a ways back via email. She liked it. I recently ran across the old email, and thought I would share it on here. It is written by Bishop Richard Williamson. This is the first of two Tomato Stakes Eleison Comments that he wrote. It can now be found HERE. If woman is to man as tomato-plant to stake, then she needs to wrap herself compliantly around him for both their sakes. A little while back a family wife and mother told me she was having a hard time communicating with her husband. They could hardly talk to one another about what was going wrong without ending up mad at each other. Rightly or wrongly, I sensed that her problem was this universal, deliberate and diabolical denial of the marvellously complementary role designed by God for man and woman in marriage. Here is what I wrote for her. She said it helped her. May it help others. By the way, ladies, I do NOT think all the problem is on your side! I am sorry to hear of a rough passage in your marriage. Rule number One: never argue with your husband in front of, or within earshot of, the children. They come first. You cannot help the family by pulling down your husband, or arguing with him in front of them. On the contrary. Rule number Two: RESPECT your husband, even if he may not always deserve it. Women run on love, men on ego, a huge difference. That is why St Paul – WORD OF GOD – says, “Wives, obey your husbands, husbands, cherish your wives.” Huge difference! In any marriage where the husband shows love for his wife and where the wife respects her husband, normally the essence of a contented marriage is there. And if he does not show love for you, at least make yourself lovable, which you will never do by fighting with him. Let it cost you what it may, respect your husband. He needs your respect more than he needs your love. You need his love more than you need his respect. Obey him. Never show that you are telling him what to do. Get him to decide to do what you want him to do. And for the wife to work outside the home is not a good thing, especially if she earns more than he does. If you have to earn, and do earn more, NEVER let it show. Disguise the fact. A man needs to see himself as the breadwinner, as the head of the house. You are the heart, just as necessary as the head for the family, maybe more so, but you are not the head. And if you are sometimes forced to act as the head, do not let it show, BUT DISGUISE IT. I would be surprised if you could not make the marriage work. It usually depends on the woman to adapt herself to the man, and not the other way round. Russian proverb –“As the tomato plant is to the stake (around which it climbs), so the woman is to the man.” If he is not a stake, do all you can to make him into one. And if you cannot, then once more disguise the fact. God makes women more adaptable than men, so that they will adapt to their men. You once said that the family needed money to educate the children. Has it occurred to you that the best and most important education of your girls is in their mother’s kitchen? Assuming that the mother is at home. You have much more to give your girls by your example than any school outside the home can give them. And give them the precious example of a wife and mother that obeys and respects her husband despite everything. Children are very observant. Your example is of crucial importance for the happiness of their future marriages and homes. Argue with your husband if you like, but quietly, respectfully, and away from the children. And do not say, “I too have been out working all day long, I too need understanding at home.” For mothers to work outside the home is not normal, and the men sense it, even if it is their own fault. Men are what they are. This is the man that God appointed for you to marry. Give your children the example of respecting him. That is a precious gift, especially to your girls. All families today need a lot of prayer. Mother of God, help! 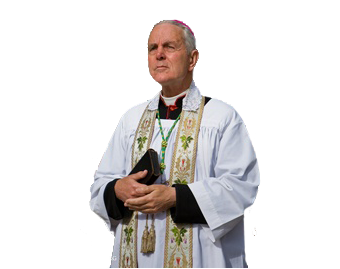 This entry was posted in Catholic, Culture, Pro-Marriage, Religious and tagged Bishop Richard Williamson, Catholic, Eleison Comments, marriage, Richard Williamson, Tomato Stakes. Bookmark the permalink.